Ivan Nicora, is Head of Product Management Europe. In this capacity, he drives the development of new products and services for European markets across Euroclear (I)CSDs and defines the overall portfolio of asset servicing and settlement services for Euroclear group clients and issuers. 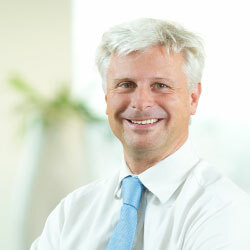 Until end 2018, Ivan Nicora acted as CEO of Euroclear Bank Hong Kong Branch as well as Regional Head of Asia Pacific, overseeing Euroclear’s offices in Beijing, Hong Kong, Singapore and Tokyo, with responsibility for all of Euroclear’s business activities and clients in the Asia-Pacific region. Prior to this, he held senior positions in Euroclear’s Commercial, Product Management, Risk Management, Network Management and Operations divisions. Ivan has close to 30 years of experience in the financial industry, joining Euroclear in 1990, working in tax operations, custody services and risk management. He holds a degree in Commercial Engineering from the Solvay Business School (Belgium).